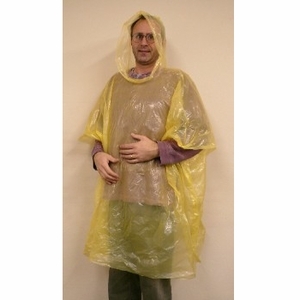 Our Emergency Rain Ponchos are compact folding to easily fit into a bag, purse, travel bag, the glove compartment of your car, or back pack for example, so they are always handy when needed. Custom labels are available at additional cost and with 300 pc minimum order. Contact us with your label design for price information.